No, there is nothing wrong with Vitor Belfort. He is very much okay and might even replace Chael Sonnen to lock horns with Anderson Silva. Sounds promising, is it not? 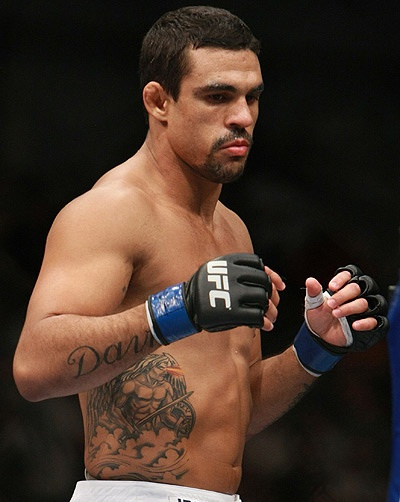 We reported yesterday that Vitor “The Phenom” Belfort has been pulled off from his UFC 122 bout versus Yushin Okami. However, according to Belfort’s coach – Shawn Tompkins – the withdrawal is not due to injury. The Phenom was set to square off with Yushin Okami in the event, but was forced to bail out from the card, with Nate Marquardt stepping in lieu of him. With early reports saying that Belfort picked up an affliction, Tompkins revealed on Facebook that the Brazilian fighter has recede for a different reason. Rather than the rumored impairment, reports are now suggesting that he might replace Chael Sonnen as the number one contender for Anderson Silva’s middleweight title. If The Phenom is indeed hundred percent okay and in light of Sonnen’s failed dope test, the rumor sounds like feasible, isn’t it?